Although it presents as a basic apparel item, the Gildan G540L Women's 5.3 oz. Cotton Missy Fit Long-Sleeve T-Shirt makes quality a priority. This 100% preshrunk cotton line stays true to size after laundering so you can apply custom designs without concern that it will pucker or pull after washing. The inner joints of the shirt have been taped at the neck and shoulders for added durability and comfort, and the side seam construction is slightly tapered to better contour to feminine builds. Double-needle stitching reinforces the sleeves and bottom hem, as well as the seamless 1/2” collar. Lightweight, airy fabric provides an uncomplicated layer of protection from the elements without weighing you down, making this shirt ideal for wearing on cool days. 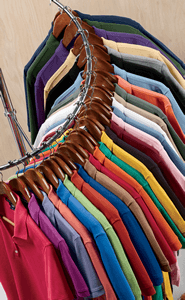 If you enjoy the feel of a cotton tee all year round, you will enjoy transitioning into this long-sleeved shirt when warmer apparel is requisite.